December 19, 2017  Across its shortlist of 141 scores, several composers are nominated three or more times, along with some films that won't likely be mentioned in the same breath as the Oscars again any time soon. 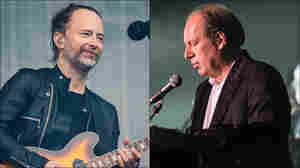 September 27, 2017  Composer Hans Zimmer and Radiohead have teamed up to reimagine the band's song "Bloom." The new version, which is much slower and sparer, is called "ocean (Bloom)." May 4, 2014  The mind behind the music of Inception, Gladiator and more says he was looking for someone who would take his prompt and "ignore it as much as possible." He and the winner joined NPR's Rachel Martin. 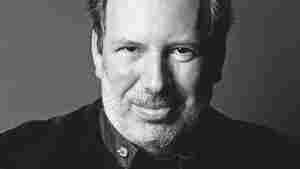 May 14, 2006  Perhaps only Hans Zimmer could compose a sweepingly atmospheric score befitting the much anticipated Da Vinci Code movie. 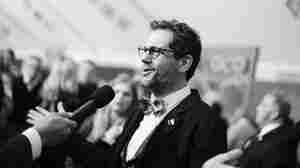 The Academy Award-winner has composed some of Hollywood's best-known films including Gladiator and The Thin Red Line.